In March I'll be teaching a class at Chesapeake Fine Art Studio. The studio here is fabulous and we always have a great time. The 3 day class will be the first weekend in March. 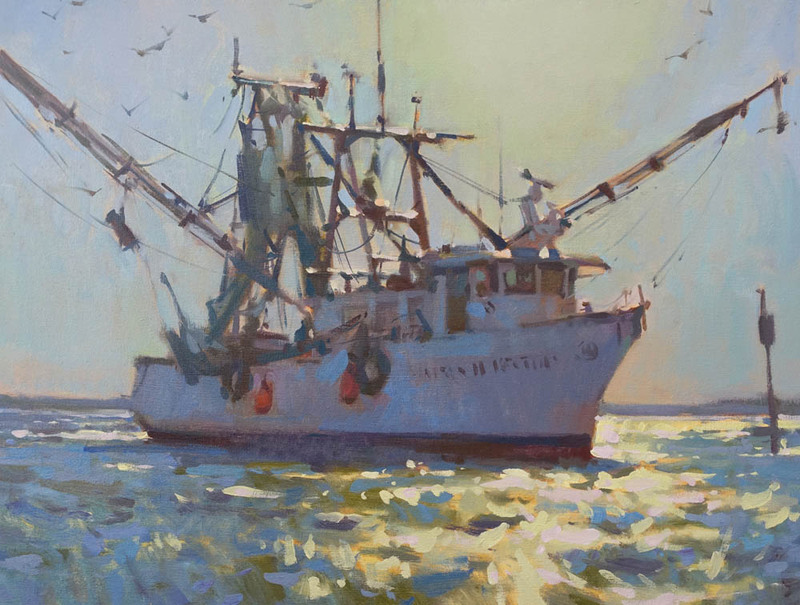 It will be a studio class focusing on the fundamentals of oil painting. For the month of October I'll have a show of paintings up at Anglin Smith Fine Art in Charleston, SC. 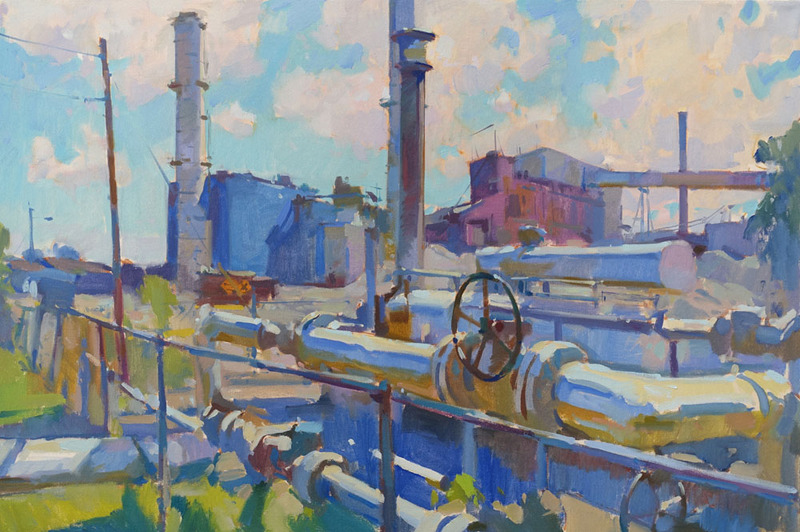 The show will focus on paintings of Charleston, with a few Maine paintings added in also. I have some fun new work that I'm excited to share, so come check it out if you are in the area. Opening reception on Friday, October 5, 5-8pm. The show will hang for the month of October. Courthouse Fine Art Gallery in Ellsworth, ME will have a solo show of my work, with an opening reception from 5-7pm on Wednesday, July 18. I'll have a panoramic painting of Portland's rooftops at this group show. The opening is Saturday April 7 from 1-3pm and the show will hang for the remainder of the month. This show is always a highlight for the gallery, so if you live in the area stop in to see what each artist has created to show their appreciation of the city. I'll have a solo show in Charleston, SC at the Anglin Smith Gallery. I'll be exhibiting paintings from trips to the southeast, along with some of my favorite Maine paintings. Laguna Beach is a beautiful place to paint, and this annual event is one of the premier plein air events in the country. I'm excited to be going back to paint here. Check their website to learn more about all of the events going on that week. There will be panel discussions in the evenings, paint outs with all of the participating artists, and an exhibition at the end of the week. The Gala reception is on Saturday, October 14, Every year this event has knockout paintings, and I'm sure this year won't disappoint. Greenhut Gallery in Portland, ME will host a solo show for the month of August. The opening reception will be Thursday August 3 from 5-7pm. 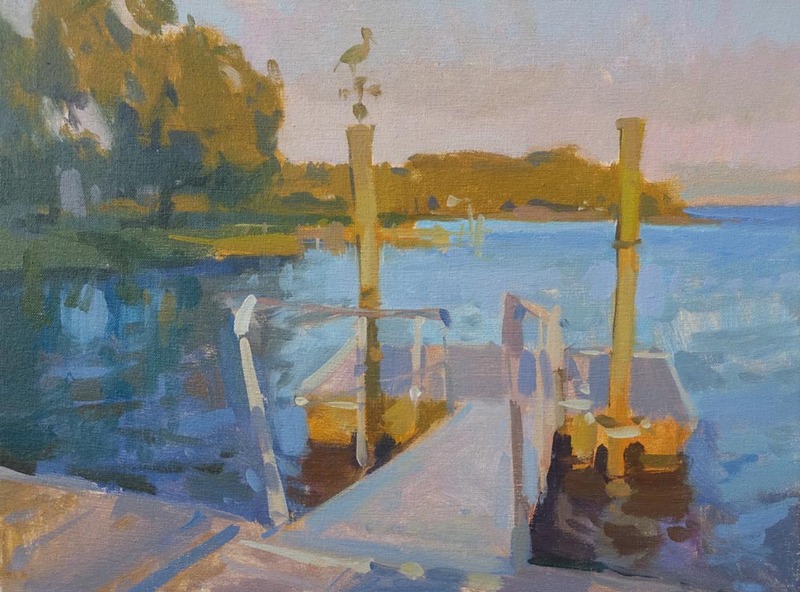 The Forgotten Coast Plein Air Festival around the area of Apalachicola, FL.